Biography | Michael J. Viscount, Jr.
Michael is a commercial lawyer whose practice focuses primarily on the representation of public and private business owners, municipal entities and creditor groups in matters involving business, financial and real estate transactions, debt restructuring, workouts, bankruptcies, dispute resolution, and other complex commercial matters. He is a seasoned practitioner who employs a practical approach to develop creative solutions to address the needs of business owners of all types, especially financially distressed companies and their lenders, vendors, and owners. Practicing since 1981, Michael has handled successful resolutions of complex situations involving a large cross section of the American economy, including casino, industrial, health care, telecom, manufacturing, real estate, broadcasting and other business interests in and out of bankruptcy. Unsecured creditors’ committees for Garces Restaurant Group, Inc., Fontainebleau Las Vegas Holdings, Rockaway Bedding, Custom Food Products, PBI Regional Medical Center, Network Access Solutions and 15-35 Hempstead Properties and Burke Industries. Additionally, Michael has represented individual creditors in the bankruptcy cases of Delphi Automotive, Trump Entertainment, The Sands Casino Hotel, President Casinos, The Glass Group, and Anchor Glass Products; trustees for AM Communications, English Equestrian Group, Forest City Automotive, and Miller Harness Company; and both secured creditors and debtors in complex foreclosures of commercial real estate. Michael previously served as the Managing Partner of the firm's Atlantic City office and is a member of the Executive Committee. 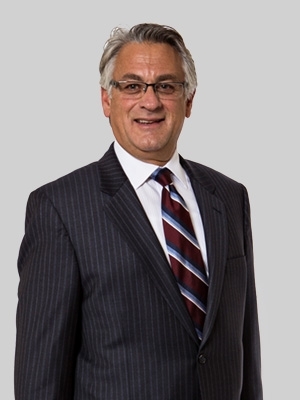 He is a member of the Lawyers Advisory Committee for the Bankruptcy Courts in the District of New Jersey of which he sits on, and is the past chair of, the Chapter 11 subcommittee, and is also a court-approved Certified Bankruptcy Mediator. Michael worked in the Federal Office of the Comptroller of the Currency. In law school at the University of Richmond, he was a member of Phi Delta Phi and the Law Review. His undergraduate degree is in economics from the University of Virginia. Michael is active in his community and has served on various public and private boards and community organizations. He currently serves on the boards of the Greater Atlantic City Chamber of Commerce, the Southern New Jersey Development Council and the Atlantic County Economic Alliance. Michael chaired the board of the Atlantic-Cumberland Chapter of the American Red Cross from 2005 to 2006 and served as a board member from 1999 to 2006. From 2008 to 2010, he served a term as an elected member of the Board of Education for the City of Northfield, New Jersey and has served as a United Way Coordinator and as a Commissioner on the Environmental Commission for the City of Linwood, New Jersey where he now resides.